Oklahoma City University and Steve Avent had a big day in this May 1988 game and Avent came out with the game-winner, according to The Oklahoman. Avent knocked in four runs on three hits in the 19-18 Oklahoma City win. His final hit, a single, won the game, The Oklahoman wrote. Avent went on from Oklahoma City to turn pro the next year. He played in three seasons. He never saw AA. Avent's pro career began in 1989, taken by the Phillies in the 15th round of the draft out of Oklahoma City. Avent started with the Phillies at single-A Spartanburg. He got into 16 games and hit .140. He then moved to short-season Bend for 1990. He went 1 for 2 in a June game, with a run scored and 0 for 3, with a run scored in another June contest. He hit .235 overall in 45 games. 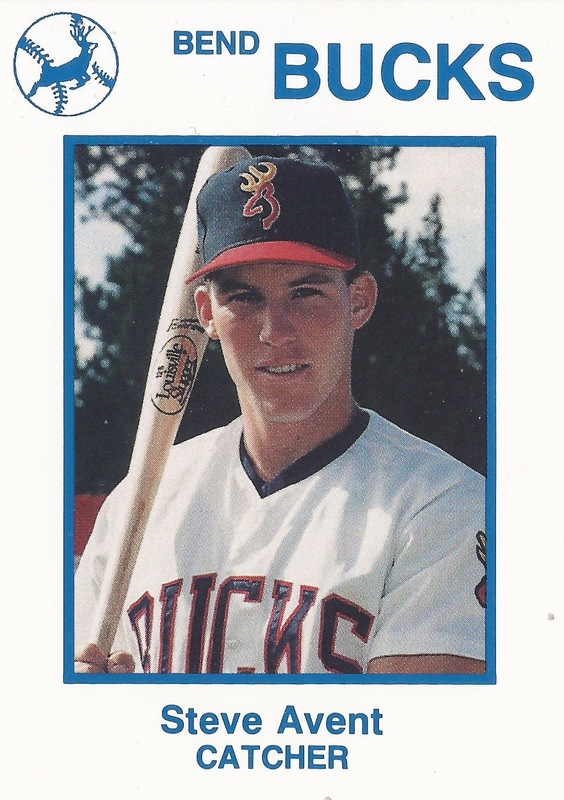 Avent returned to Spartanburg and hit high-A Clearwater in 1991, but his season was brief. He got into just six games. He went 2 for 5 to end his career. Avent has since settled in St. Charles, Mo., where he offers lessons as an instructor.